This month has been set aside to celebrate Black History. As I have paused to remember my own journey to understand and respect black history, I am more convinced it is good to remember. Until my early twenties, I lived my life around white people. My community was white, my church was white, and my educational experience was mostly a white experience. I am so thankful that my world is no longer all white! 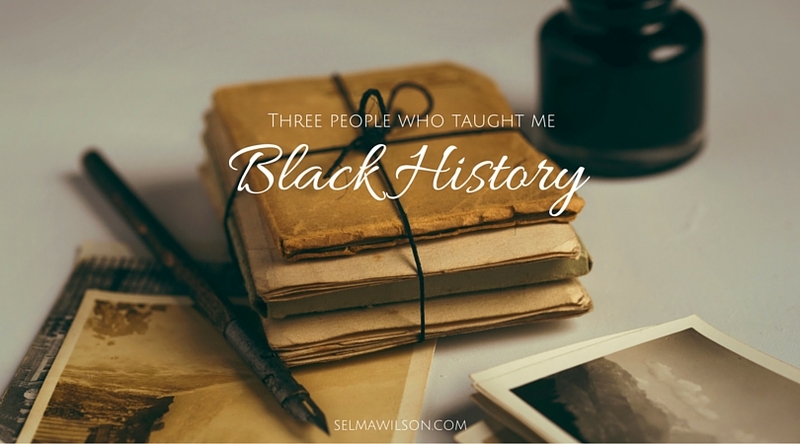 There have been three people who have taught me much needed lessons on black history and each in very different ways. In college, there was a list of people we could do our research project on and I picked Frederick Douglass. I didn’t know him at all but that research project opened my eyes to a new world. Frederick Douglass (1818-1895) was an African-American social reformer, preacher, writer, and statesman. He escaped from slavery in Maryland and became a national leader of the abolitionist movement. I read several of his writings and was especially moved by his autobiography, Narrative of the Life of Frederick Douglass, An American Slave. His story and his writings opened my eyes and heart to the pain and injustice of slavery and to the depth of joy in freedom. Through many tears, I learned some hard lessons I pray I never forget. Right for injustice and never ever take freedom for granted. My husband and I arrived in Louisville, Kentucky in 1976 during a time when desegregation in the school system was being mandated by busing students to different schools. The city was experiencing the tension of the times. It was in this environment that I was given opportunities to grow, develop, and have my own cultural integration experience. The best opportunity happened through Jackie. Jackie and I worked together in an inner city juvenile detention center. Jackie became my teacher, mentor, and ultimately a dear friend. She taught me much about black history woven in her own personal story of being a single mom raising two children in the inner city of Louisville. Her courage, determination, and kindness greatly impacted my life. She taught me to not make excuses, to never be a victim, and to step up and lead. Janice and I have been coworkers and friends now for almost fifteen years. We talk honestly about cultural and diversity issues, while respecting and appreciating the differences in our life experiences. We talk about work, family, church, and our husbands. We pray for each other, encourage each other, celebrate children, and share goals and dreams for the future. She is one of my dearest friends. I love to hear her stories of her church, her sisters, and her children. We do lunch together often and I am always refreshed by my time with her. Maybe she has taught me the most about black history. She has taught me that whatever our history there is a beauty in today and bright hope for tomorrow. I love her deeply and I thank God for the blessing of our friendship. I am thankful today that my world is no longer all white but is rich with the beauty of color. My church, work, and friendships are richer because the unity of our faith is complemented by the diversity of our stories. How has black history impacted your leadership? What lessons have you learned?